Rolls-Royce Motor Cars used this year’s edition of the Dubai International Motor Show to showcase the capabilities of its Bespoke program. The brand unveiled a special one-off commission done for a Rolls-Royce Ghost. Billed as the ‘Spirit of Calligraphy’ Ghost, the vehicle was conceptualized by brand experts at AGMC, the sole dealers of Rolls-Royce Motor Cars in Dubai, Sharjah and the Northern Emirates, and meticulously executed by the experienced craftsmen at the Home of Rolls-Royce in Goodwood, England. The Spirit of Calligraphy is a unique Extended Wheel Base Rolls-Royce Ghost that artfully combines the region’s Arabian heritage with the words of the luxury brand’s founder. The design for the Rolls-Royce ‘Spirit of Calligraphy’ Bespoke Ghost was inspired by the ancient art of Arabic Calligraphy, which involves turning words into intricate and attractive shapes, thus uniquely combining texts and images. A delicate Motif created by renowned Arabic calligrapher Khalid Al Saaei was painted by hand on the fascia of this masterpiece, an Arabic interpretation of Sir Henry Royce’s iconic words of “Take the best that exists and make it better. When it does not exist, design it”. These Arabic words are shaped into the Rolls-Royce’s well known flying mascot, the Spirit of Ecstasy. The one-of-a-kind vehicle comes with a sapphire black exterior which dramatically contrasts with an arctic white coachline. The striking 21” painted wheels having matching wheel centres and arctic white pinstripes add to the impact of the car. 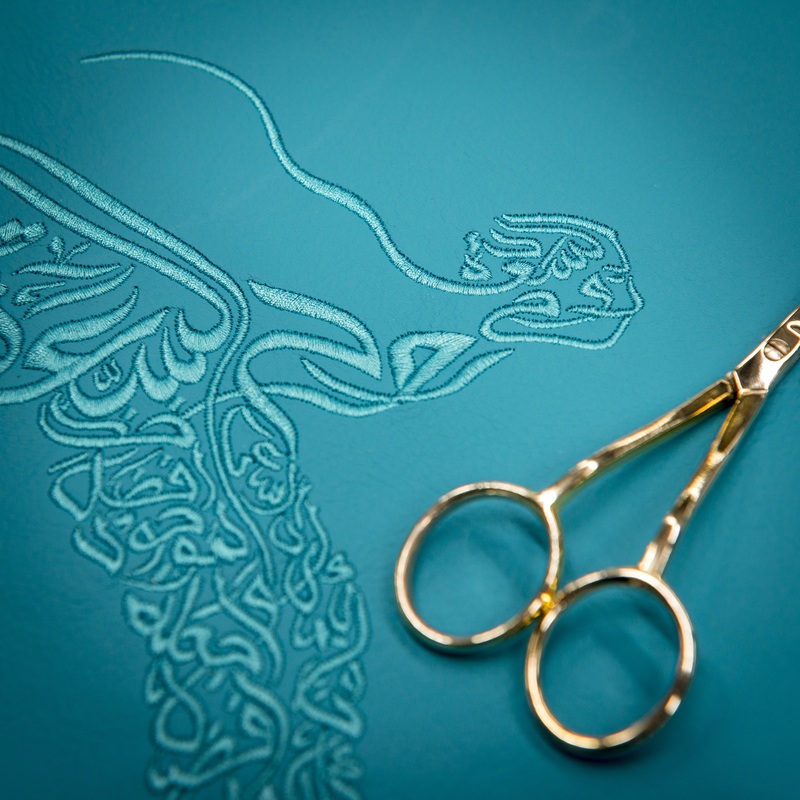 The bespoke interior stays true to the theme with Al Saaei’s Spirit of Ecstasy calligraphy motif as both a silver inlay on the centre panel and as embroidery on the rear center seat. The interiors are finished in a striking combination of turchese, black and arctic white leathers which pair well with black lambswool carpets. Commenting on this remarkable motor car, Mamdouh Khairallah, General Manager of Rolls-Royce Motor Cars AGMC said that Khaled Al Saaei’s artwork beautifully conveyed the words that have formed Rolls-Royce’s ethos for decades and shaped them into the brand’s inspirational muse. Motoring enthusiasts had the opportunity get a close look at this exceptional vehicle at the Rolls-Royce Motor Cars booth during the Dubai International Motor Show.